In our 13th edition of Behind the Byline, our interview series helping you get to know the journalists who bring you the news, we talk to news researcher Miyoko Wolf about how the world of journalism has changed over the years and the importance of fact-checking. It’s a subtle nod rather than an official byline. But don’t let that fool you. Miyoko has worked on countless groundbreaking stories, including coverage of the Oso landslide that went on to win a Pulitzer Prize. Miyoko grew up in Gig Harbor and studied communications and sociology at the University of Washington. For about 10 years after graduation, she had a plethora of odd jobs, including working at UW Libraries, coaching volleyball and doing library research for Battelle Research Center, where she would search for articles from research periodicals, Xerox them and send the files to whichever labs needed them. 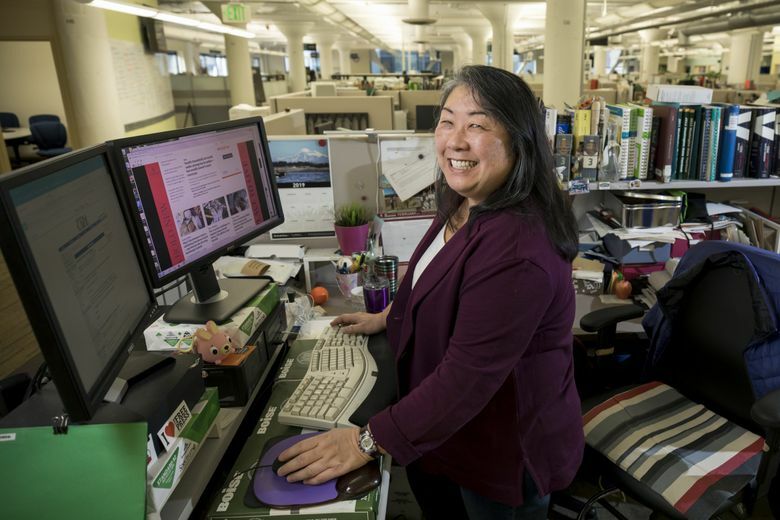 Miyoko landed at The Seattle Times when a friend who worked here told her about an opening for a news researcher. For more than 20 years, she has pulled up background information, historical archives and any other data that can help a reporter pursue and flesh out a story. When she first started, that meant digging through an actual, physical library full of folders and microfiche. Since then, rapid changes in technology and a need to consolidate space mean she now works primarily online. But her central mission remains the same: Find the facts. Q: What do people think about your job? I tell people I’m a news researcher and they’re like, “Oh, you pull archives.” And I’m like, “Yeah, I pull some archives, but I think forward more than I work backward” — meaning that I do a lot of research before the story is even reported on. If I find information about people, I can relay that to reporters so they can ask the right questions. My job is to make reporters’ jobs easier. A lot of what I do, as well, is just making sure that things are correct in our stories. You always want to make sure that the people you’re interviewing in these stories are those people, and that if they say they’ve done something, that it’s true. Sometimes, people will complain that we’re slow to tweet some information, but we’re not slow, we just have to check. There was actually an example of that a few years ago: The city sent out a press release saying, “Longtime worker Joe Smith has passed away, we send condolences, etc.” But we always check, so we called Joe Smith, and Joe Smith answered the phone. He wasn’t dead! And we were like, “Seriously? !” It was a common name, but it also wasn’t that hard to check. I always know that the things I check that go into the paper are correct, whether it be statistics or criminal court records. It totally depends on what else is going on in the newsroom. Sometimes, I’ll be following up on a story from the night before, and I’ll have to look for court records or police records. There are other days where big news will break, like last summer when that man stole an airplane at Sea-Tac. I was actually on vacation when that news happened, but I worked on it anyway because there was so much that we needed to figure out while reporters were doing interviews and writing about it. Q: How have things changed since you started? When I was hired, we had four news researchers. Gene Balk actually was a news researcher, too, before he became the FYI Guy. But now it’s just me. When I first started, all the news researchers were confined to a library in the back, which was separate from the newsroom. But when breaking news would happen, we in the library wouldn’t know for hours because we were so isolated. Everybody sort of had their own little department but no one would really talk to each other just because of how the old building was laid out. I developed this weird skill set that involves eavesdropping but not really eavesdropping. I would notice things happening around the newsroom when editors were working on stories and sending out reporters. I’d kind of just pop up and say, “Hey, I can help with that!” But eventually, they got used to me being there and started involving me earlier in the story-writing process. When The Seattle Times moved to a new building in 2011, all the microfiche archives were donated to the University of Washington. Computers have changed a lot, too, of course. Everything is more compact. The rise of social media has also changed the ways that you can find information. On the one hand, it makes things more convenient because there’s so much available information, but on the other, you have to wade through it all to find actual facts. There’s a lot of bad information out there, so you do end up sorting through a lot more stuff. Q: What is unique about working in journalism? I like my job because sometimes it’s like being a detective. You have to come up with the best way to figure stuff out: “Where is the best place to get that information, and how do I know this is the correct information?” It’s an interesting skill set to have, because I don’t necessarily have to know a lot of information, but I do have to know where to find it. 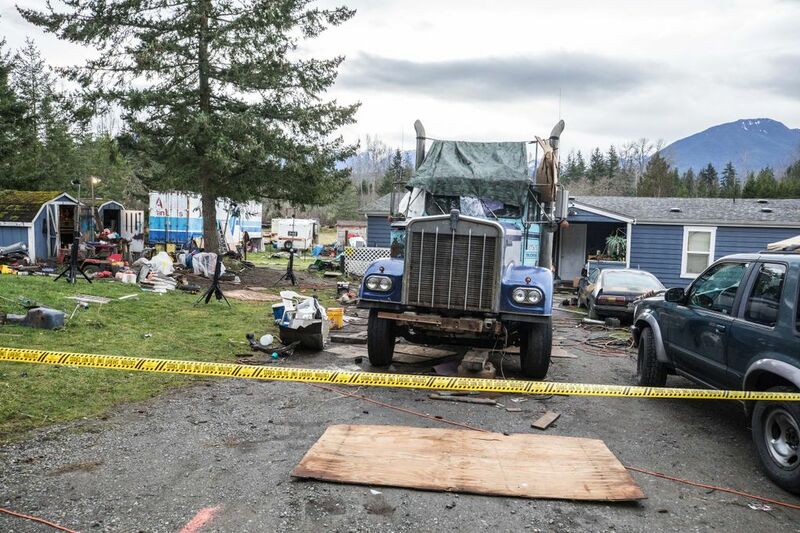 The calls to authorities involved a range of disturbances, from found property to lost animals, runaway teens to violations of court orders. 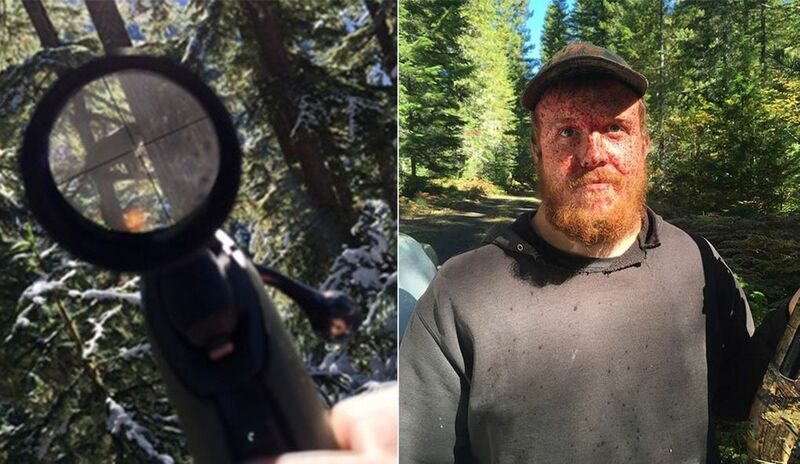 A remote wildlife camera in Oregon led officers to the suspects. Then texts, videos and social-media posts on the suspects’ phones led the officers into the forest. 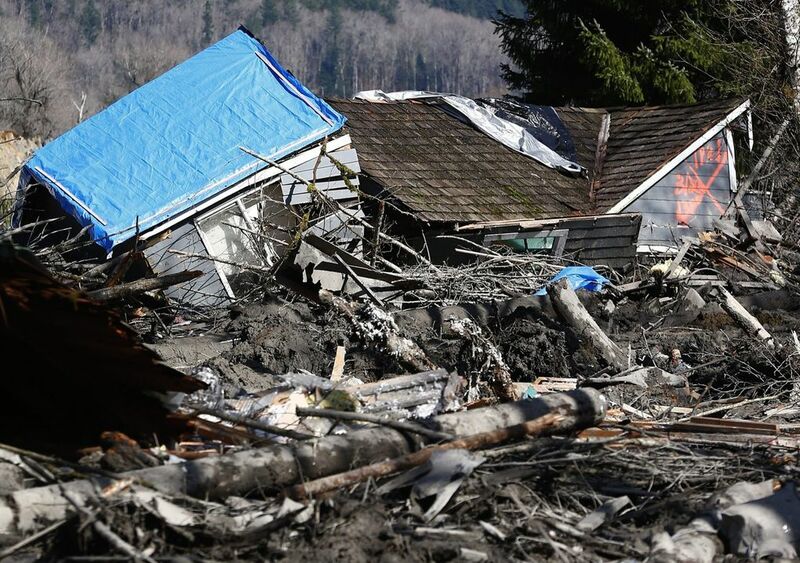 A narrative of the Snohomish County mudslide based on Seattle Times interviews with survivors, rescuers and friends and family of the dead and missing; police- and fire-dispatch tapes; and photographs and videos taken by Times staff, rescuers and witnesses. 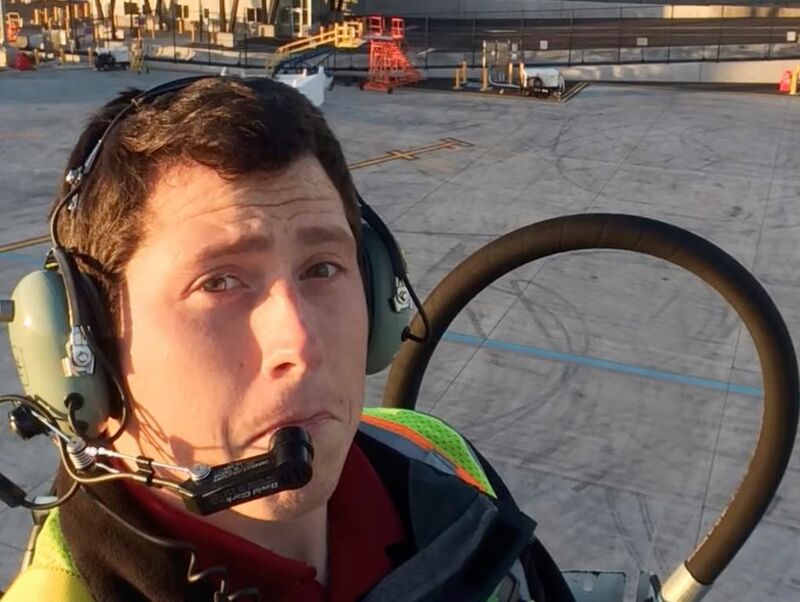 Emergency-dispatch recordings reveal details that could shed light on how Horizon Air employee Richard Russell was able to steal an airplane from Sea-Tac Airport before crashing and killing himself. You can find previous Behind the Byline interviews on our Inside the Times page. Want to learn more about your favorite Seattle Times journalist? Send a message to editor Gina Cole. To get insider content like this emailed to you before other readers see it, become a Seattle Times subscriber!